The expectations we all have in our daily lives concerning technology are now making their way into the workplace – even into traditional industries. Our interactions with voice-activated assistants, mobile technology and instant communications are shaping the way that technology is deployed in our work environments. Information research company IDC predicts that by 2020, a majority of manufacturers will rely on digital platforms for their operations, and these platforms will create increasing proportions of total revenues. So what are the technologies that are being put into working environments and are changing the way industry works, now and in the near future? Here at Tech Wire Asia, we’ve teamed up with Rockwell Automation, one of the world’s leading providers of industrial automation and information products, to bring you a guide to what’s happening now, and how you can deploy solutions to help to ensure your business continues to thrive. Consumer tech has driven a huge uptake in use of handhelds right across industry and the workplace. The change has created a positive attitude as people now expect to be able to leverage mobile platforms at work. 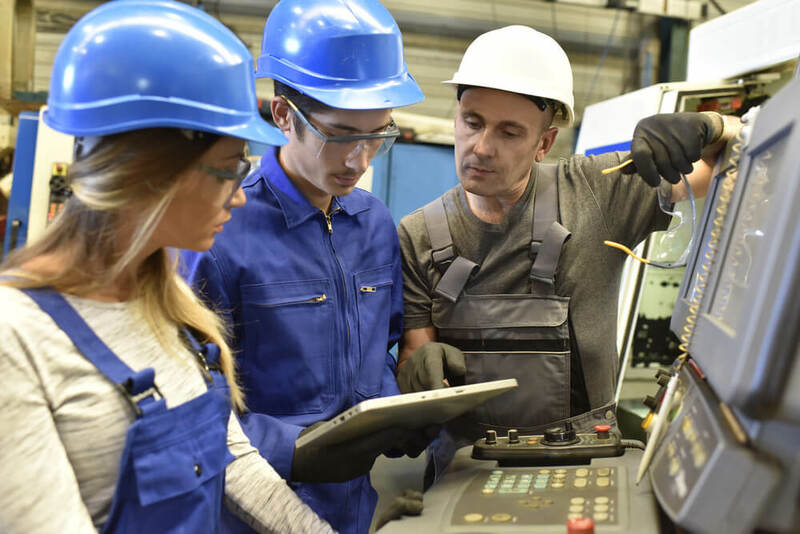 Mobile apps are seamlessly connecting workers and machinery, breaking down the differences between OT (operational technology) and IT (information technology). Technology is bridging the gap between proprietary communications channels deployed in machinery and facilities, and those in mainstream networks. The advantages in terms of cost and time saved are huge. Staff and plant managers can get real-time updates from the plant floor delivered to their phones or tablets and can view information and diagnostics in one place without even having to be on the plant floor. Connected services help companies maximize their use of connectivity and production data, especially as part of continuous improvement initiatives. Services include training and supplemental support of in-house teams, such as through remote monitoring. Our expectations about technology are shaped by daily interactions with the likes of Siri and Alexa, electronic timetables, and one-tap actions that create complex chains of events– a simple online e-commerce interaction, for example. 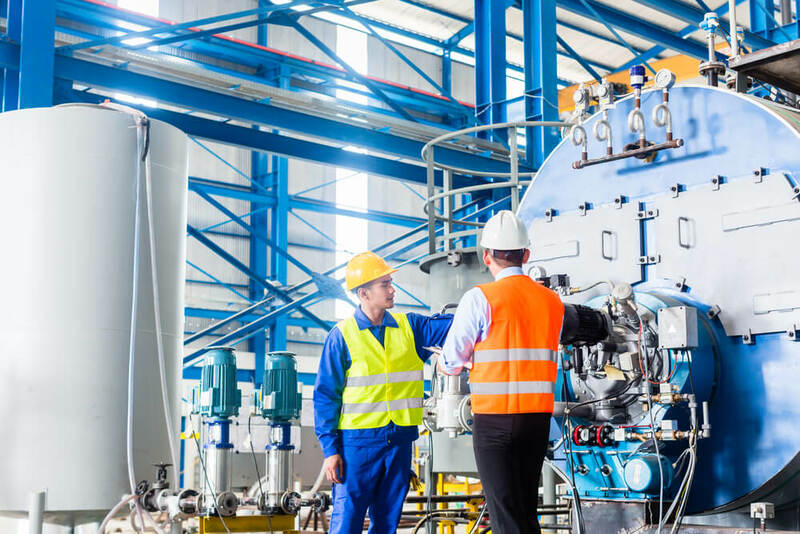 In today’s industrial settings, the industrial internet of things (IIoT) is beginning to provide the same type of ease of interactivity, although the effects at a machine or systemic level may well be very much more complicated. We expect to see contextualized data and interact with it in real time, creating an immediate reaction. With technology from Rockwell Automation, this type of control, monitor and productivity enhancement is becoming more common and easy to deploy, even in heavy, traditional industries such as mining, marine or chemical plants. Already making waves in supply chains in specific industries, particularly pharmaceutical, blockchain creates an accessible and incorruptible record of transactions generated by the activities of many dozens of bodies, organizations, and individuals. The blockchain is based on two main precepts in the concept of supply chains: approval by all parties of any addition to the blockchain (or public ledger), and openness to public examination. In short, any product’s progress is immutably recorded in data by mutual consent of all involved parties, and the ledger acts as a record that can be used as a way of tracking, with 100 percent accuracy, exactly where a product was produced, every touchpoint made en-route, and where it ended up. Walmart, for example, now asks its suppliers to upload their product data to a corporate blockchain ledger to enable end-to-end traceability of vegetables, right back to the farm from where they came. Pilot projects have shown the amount of time it takes for the company to trace a food item from the store back to farm fell from seven days to two seconds. Walmart can now manage quality control, and better ameliorate problems such as contamination. Rockwell Automation sees blockchain as a natural complement to IoT as it’s all about accessing and securing data. As blockchain continues to be adopted by operations all over the world, we’ll see manufacturers continue to integrate connected devices and expand their digital platform. The sum of its parts forms any digital platform, and all elements create data in many different formats for different purposes. In the past, it took a specialist in processing large quantities of information to spot trends and draw out information that helped businesses change. Now insights can be drawn out faster, thanks to advanced learning algorithms and carefully-directed use of artificial intelligence. Rockwell Automation uses machine learning to pull powerful analytical information from even the most complex of interconnected infrastructures. FactoryTalk® Analytics™ LogixAI takes data from sensors, detects patterns and anomalies, and then requests human intervention or suggests modifications to operating parameters. In industry, technologically-powered machinery, facilities and even infrastructure elements all produce a great deal of data, as well as being fed data to change operations in real-time. By creating digital twins of individual machines (or indeed, of entire systems), companies can turn sensor values into business value. The augmented reality of digital twins can either exist purely in software abstractions to pursue research that would otherwise involve taking facilities offline for trial purposes, or as digital twins that are fed information from their real-life counterparts. By using Rockwell Automation products like FactoryTalk® VantagePoint EMI, companies like Dr. Reddy’s are bringing value across the entire lifecycle of industrial processes, including training staff, product design, testing, commissioning and monitoring, operations and proactive incident resolution. Digitized industrial platforms are already creating massive changes. Automotive giant Ford, for instance, now manages more than two million product variations in real time across its trans-global operations. Rockwell Automation also put technology in place that created a twenty-fold increase in available production data, with a considerable increase in overall uptime being the result. A study conducted by Capgemini Consulting and GT Nexus revealed that 70 percent of industrial companies have started a formal digital supply chain transformation effort – and moves like this are just the beginning. If you want to join in the move to digitization, you’ll need an experienced partner to help drive change and improvement in the business. The most expert and experienced ally is Rockwell Automation. Why not reach out to get in touch with a local representative today?